Found this. Interesting take if nothing else. Was the T-Rex a giant iguana type creature? There are many head bones of dinosaurs found that have hollow chambers. We can’t say for sure what they were used for but the T-Rex also has a hollow honeycomb in the head bones. 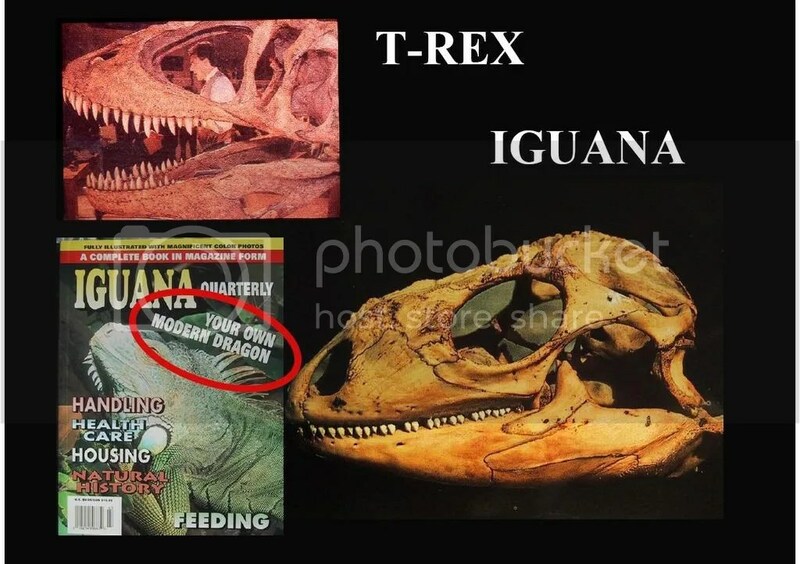 Remember that I mentioned the T-Rex and the iguana skull looks almost identical? It’s interesting that when an iguana gets mad or frightened, it sneezes. It doesn’t shoot fire out today, but that doesn’t mean it never did and it’s mighty interesting to say the least.